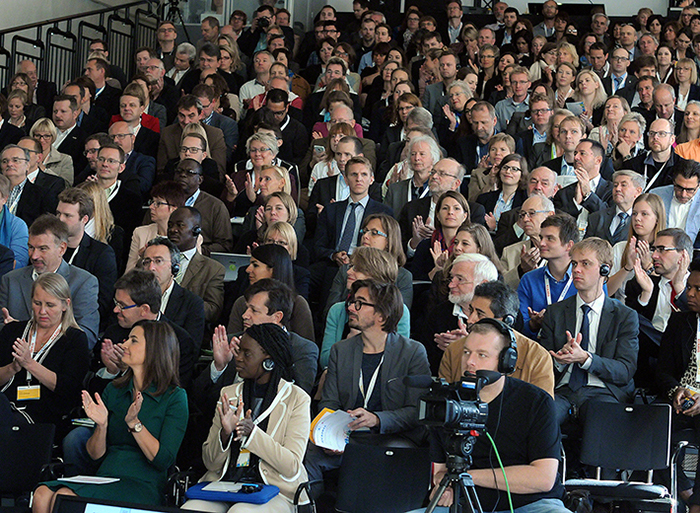 The International Conference on Climate Action: Local Governments Driving Transformation (ICCA2015) began today in Hanover, Germany, with opening speeches delivered by: Stefan Wenzel, Minister for Environment, Energy and Climate Mitigation, Lower Saxony, Germany; Jochen Flasbarth, State Secretary, Germany's Federal Ministry for the Environment, Nature Conservation, Building and Nuclear Safety (BMUB); Philippe Etienne, Ambassador of France to Germany; Henri Djombo, Minister for Sustainable Development, Forestry Economy and the Environment, Republic of Congo; and Joan Clos, Executive Director, UN-Habitat. A panel on ‘Climate Diplomacy’ convened in the afternoon with representatives of federal and local governments, academia and youth. 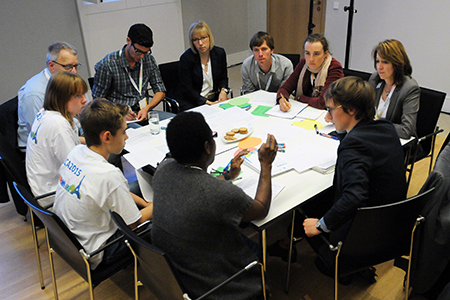 A mini simulation of the climate negotiations was held in conjunction with the panel, with participants representing countries and offering emission reduction commitments. A ‘Climate Neighborhoods’ exhibit opened in the afternoon, allowing participants to explore projects from municipalities, schools, networks and research institutions. The exhibit’s programme today featured a ‘Science Lab’ on research originating from the state of Lower Saxony. 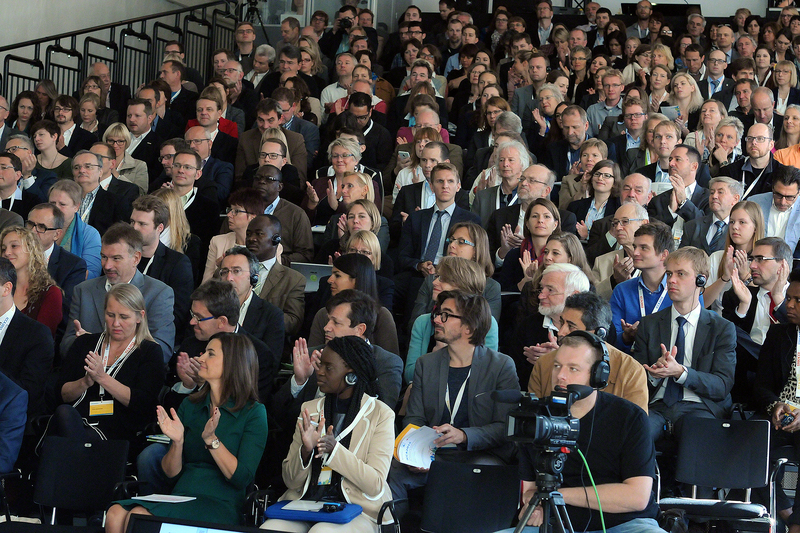 Twelve workshops took place throughout the day under six clusters: agents of change; governance; finance; infrastructure; ecosystems; and networks and groups. 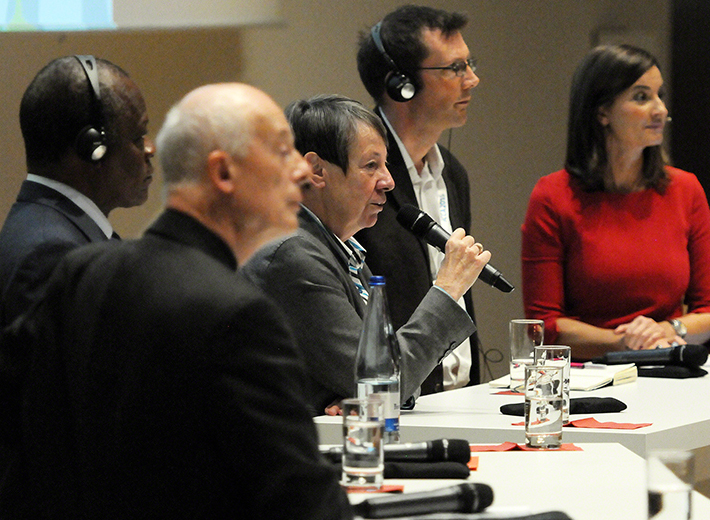 In the evening, representatives of German city and district networks spoke during a roundtable on ‘Local Climate Action at its Best.’ Rita Schwarzelühr-Sutter, Parliamentary State Secretary, BMUB, delivered a keynote address and introduced the Climate Action Award for Local Government 2015, which honors German cities and districts for climate action in three categories: Cooperation; Energy and Climate Management; and Participation. The nine winners were awarded €25,000 each. An evening reception was held in honor of the participants. Panel (L-R): Hermann Ott, Wuppertal Institute for Climate, Environment and Energy; Nick Reimer, Klimaretter.info; Franzjosef Schafhausen, BMUB; Stefan Wenzel, Lower Saxony Minister for Environment, Energy and Climate Mitigation; Monika Zimmermann, ICLEI Deputy Secretary General; Miranda Schreurs, Freie Universität’s Environmental Policy Research Centre; and Inka Schneider, NDR Local Public TV Station. 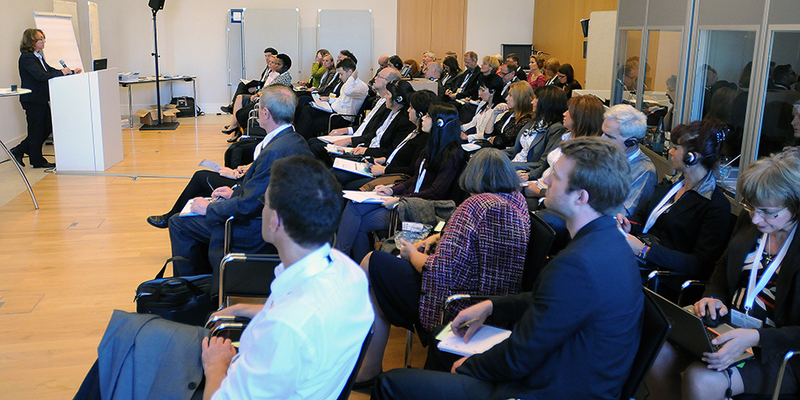 On Friday, ICCA2015 opened for its second day with six parallel workshops on various topics, including: taking climate action; coordination in a multi-level system; climate action as part of the New Urban Agenda; climate-friendly mobility in rural areas; forests and peatlands; and city partnerships and bilateral cooperation. Following the workshops, a high-level panel and discussion on local action for solutions featured remarks from: Barbara Hendricks, Minister, Germany's Federal Ministry for the Environment, Nature Conservation, Building and Nuclear Safety (BMUB); Stefan Wenzel, Minister for Environment, Energy and Climate Mitigation, Lower Saxony, Germany; Martin zur Nedden, German Institute of Urban Affairs (Difu); a video message from Achim Steiner, Executive Director, UN Environment Programme (UNEP); Henri Djombo, Minister for Sustainable Development, Forestry Economy and the Environment, Republic of Congo; Rob Hopkins, Transition Network; and Hans Joachim Schellnhuber, Potsdam Institute for Climate Impact Research. Throughout the day, several parallel events occurred in the Climate Neighbourhoods exhibit, notably with German youth involvement, including: presentations of youth and education projects with messages for COP 21; a youth theater; a forum on food and culture; a press walk; and a “fishbowl” discussion among students, Barbara Hendricks, Stefan Wenzel, Rob Hopkins, Thomas Köhler of Transition Towns Hanover, and Daniel Hires of SenseCube Berlin. The Conference closed with reflections and conclusions, moderated by Stefan Wenzel and Karsten Sach, BMUB. 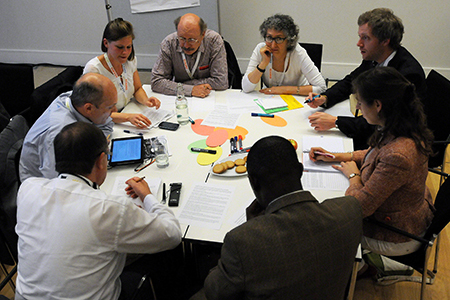 Leads of the six workshop clusters recapped key messages and inputs to the ‘Hanover Declaration: Local Governments Driving Transformation.’ Wenzel and Sach closed the meeting, noting the Hanover Declaration will be presented at COP 21. + IISD Reporting Services, through its ENB+ Meeting Coverage, will produce a summary report from ICCA2015, which will be available here on Monday, 5 October 2015.